Silicon 360, which provides secure, fully screened and qualified semiconductors to the military, aerospace and other specialized markets, announced a deal to serve as the sole supplier for Netronome’s high performance NFP-32xx Network Flow Processors (NFPs) as Class B military, ruggedized and space level screened products. Netronome will continue to sell the NFP-32xx family of NFPs to customers not requiring such specialized products. Netronome’s NFP-32xx Network Flow Processors bring high performance to a broad range of network, security and content processing applications and are source-code compatible (including backwards compatibility) with Intel IXP28xx micro-engines for customer application migration. In addition, Netronome’s flow processor technology allows for packet and content processing with robust security features. The integrated cryptography engines provide hardware acceleration of multiple algorithms (including all currently standardized AES variants) performing IPsec at up to 20 Gbps. 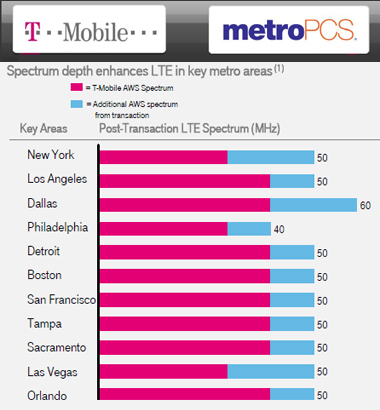 Since completing its acquisition of MetroPCS about three months ago, T-Mobile US has has doubled the MetroPCS brand presence across the country by bringing its "Wireless for All" offer to 15 new markets. "We've been beating our no-contract competitors hands-down for value, and now, with the strength of the T-Mobile 4G network behind us, that lead is only going to grow," said Tom Keys, MetroPCS COO and executive vice president. "We're setting a blazing fast trail and, with our retail partners, will compete aggressively with our '$40, period' rate plan to win over consumers one-by-one." Glenn A. Britt will retire as Time Warner Cable’s Chairman and Chief Executive Officer at of the end of 2013. 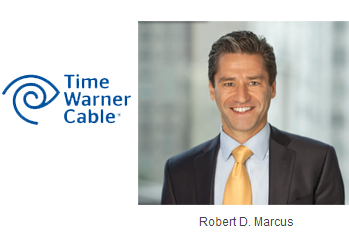 Time Warner Cable Board of Directors has elected Robert D. Marcus, currently the company’s President and Chief Operating Officer, to succeed Britt as Chairman and CEO effective January 1, 2014. Last week, HP and NEC announced an expansion of their global alliance to collaborate on joint engineering for mission-critical and blade servers for enterprise clients. Since 1995, NEC and HP have been strategic alliance partners, focused on NEC's role as a provider of large-scale, mission-critical enterprise IT systems built on HP's Unix-based operating system, HP-UX. The collaboration previously focused on HP-UX, HP Integrity servers and NEC NX7700i servers. The companies are extending their alliance to include next-generation, mission-critical x86 systems. This will include DragonHawk," HP's future, scalable x86 infrastructure based on HP Superdome 2 and blade server technology. HP and NEC also plan to increase worldwide delivery of joint solutions, providing clients with greater flexibility, a broader choice of solutions to match their specific enterprise needs and continued investment protection for mission-critical environments, consistent with HP Project Odyssey. "Performance and reliability are vital to mission-critical computing clients and the business-critical workloads they will deploy into the next decade," said Mark Potter, senior vice president and general manager, Servers, HP. "By aligning our expertise, HP and NEC will drive enterprise server technology forward, allowing our joint clients to protect and grow their current and future investments." Xilinx's 7 Series GTH transceiver successfully completed testing for 10GBASE-KR LogiCORE IP at the University of New Hampshire InterOperability Laboratory (UNH-IOL). The testing was performed at the University of New Hampshire InterOperability Laboratory (UNH-IOL) and validated that it fully meets UNH-IOL's receiver (Rx) and transmitter (Tx) electrical and protocol compliance tests for backplane applications. Xilinx said the achievement enables OEMs to develop high-performance network and data center solutions with 10 Gigabit or 40 Gigabit backplanes that conform to the IEEE Std 802.3 using Xilinx's 10GBASE-KR LogiCORE IP and enable 40GBASE-KR4 LogiCORE IP on Virtex-7 XT and HT devices with GTH transceivers. "Passing these compliance tests is a significant milestone in the development of our 10GBASE-KR 10-Gigabit serial interface, which is part of our expanding portfolio for addressing the need for service providers to deliver more bandwidth-intensive services intelligently to minimize both capital expenditures and operational expenses," said Raj Seelam, director of solutions marketing at Xilinx. "We worked closely with UNH-IOL in this effort, providing equipment, boards and experts who worked side-by-side with the UNH-IOL testing teams to achieve this milestone."